The concept: a digital platform where consumers who strive for a greener world can buy their renewable electricity from the small local producer of their choice. Why did we start ? In Belgium , we have 400,000 prosumers and 5,000 companies producing solar PV. 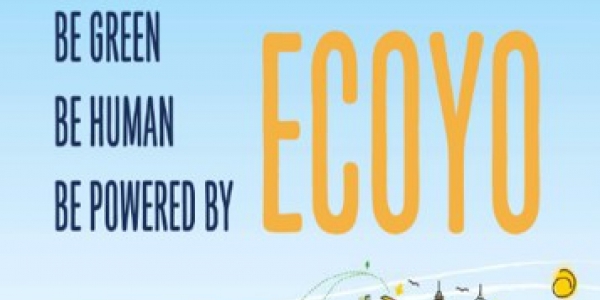 ECOYO was launched to understand prosumer’s and consumer’s appetite for a peer to peer electricity platform. 60 small local renewable producers (SME’s, farms). Why was it stopped ? ECOYO’s customer segment would remain fairly small. ECOYO would need several millions of euros for customer acquisition and working capital, while the price/value optimum was not yet reached and the website as conversion tool had to be improved. What did we learn ? It is hard to ask a price premium for a B2C energy platform with a human touch. It is easy to launch a fully operational low cost platform to supply power. An electricity exchange platform requires a supplier license and financial guarantees. ECOYO-alike business will become more attractive once regulation recognizes system cost advantages of local energy communities. (e.g. multi-apartment dwellings).